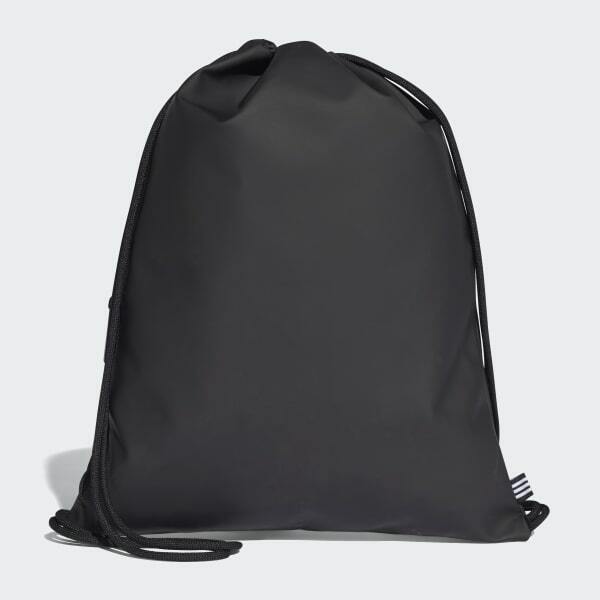 A sleek gym sack designed with modern materials. Showing off its clean lines, this gym sack is made of a material with a rubber-like look and feel. Detailed with a large NMD logo, it has a side zip pocket for your small essentials.